Stephen Miron joined Global in 2008 just one year after the business was founded. Over the past decade he has played a pivotal role in the evolution of the business, overseeing its growth from commercial radio company to one of the world’s leading media & entertainment groups. Home to respected media brands including Capital, Heart, Classic FM, Smooth, LBC, Radio X, Capital XTRA and Gold, Global reaches more than 32 million people every week. Global entered the Out of Home sector in 2018 with major acquisitions of Primesight, Outdoor Plus and Exterion Media. Global’s outdoor division is now one of the leading Out Of Home advertising companies in the UK with over 35,000 sites reaching 95% of the UK population. Stephen is a highly-respected media industry executive with over 20 years’ experience in leadership roles. He joined Global after seven successful years at DMGT latterly as the Managing Director of the Mail on Sunday and Mail Digital. It was in this role that Stephen helped create and launch the Mail Online. In 2014 Stephen united all Global’s charity activity to help disadvantaged young people, creating Global’s Make Some Noise. The grant-giving charity raises money and gives a voice to small charities and projects that are struggling to be heard through Global’s media channels. Since launch it has raised more than £14 million and supported 224 incredible charities and projects around the UK. 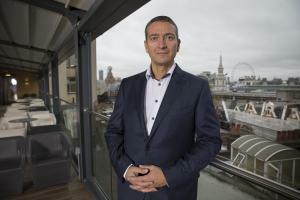 Stephen sits on the advisory board of the advertising agency BBH. He is a former President of both The Thirty Club and NABS. In 2016 Stephen was given the Arqiva Industry Leader of the Year award. In December 2017 Global was awarded Campaign’s Medium of the Year.